The sounds of summer are here.Get your sizzling red hot deals at any Heiser dealership right now. Test drive a car, truck or SUV and pick up a set of grilling tools.You’ll flip over them!They’re stainless steel and come with their own carrying case. And, Heiser’s overloaded with inventory. So, during our Model Year-End Clearance, we’ve got just the recipe to make your mouth water:Buy or lease any new or used vehicle from Heiser and get a tailgate grill to go along with your set of tools.It’ll fit in your trunk and is perfect for that outdoor picnic. Plus, Heiser wants your trade. Pre-owned vehicle trade-in values have never been higher. So, call us for a quote on your vehicle and see how much more you can get! Visit +Heiser Ford Lincoln, +Heiser Chevrolet Cadillac, +Heiser Chevrolet, +Heiser Toyota, or +Heiser's Quick Motors & Quick Lane for a great deal and fire up your summer. 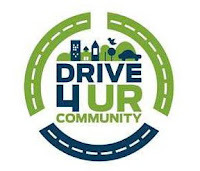 +Heiser Ford Lincoln once again proves ‘Anything’s Possible’ by sponsoring a special day with all test-drives earning a donation to charity on July, 13th, 2013.The “Drive 4 UR Community” event will run from 9 a.m. to 4p.m. at the dealership and benefit the Running Rebels.This marks a continuation of community-minded charity events at the Glendale auto group. Heiser Ford Lincoln will contribute $20 per test-drive that Saturday to the Running Rebels community organization.The company has pledged up to $6,000 to the Rebels through this event.The day offers an easy way for supporters to help the charity, especially for those already in the market for a new vehicle. +Heiser Chevrolet is excited to heat things up with our new monthly employee spotlight!Our dealership team truly believes “Anything’s Possible” and hopes our customers feel the same.One key employee, Finance Manager, Kristina Beck, embodies this attitude each and every day.We’d like to introduce you to her. 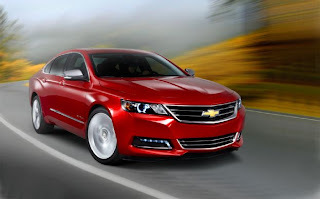 +Chevroletcompletes the transformation of its North American passenger car lineup with the introduction of the all-new 2014 #Impala, now available at +Heiser Chevrolet of West Allis and +Heiser Chevrolet Cadillac of West Bend. The redesigned flagship sedan builds on the strong heritage of the Impala nameplate by offering expressive style, a more-refined interior, easy-to-use technology, and an exhilarating driving experience. 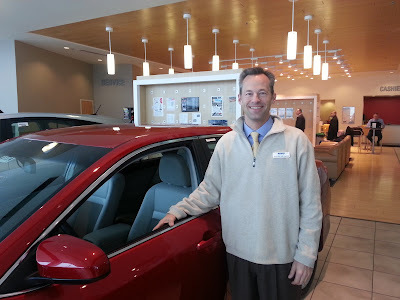 Strong values From Heiser Ford Lincoln Sales Consultant, Jay Oberst! 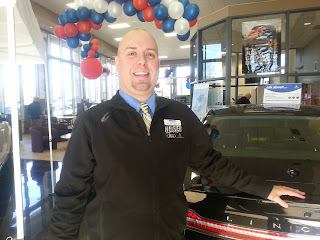 As summer begins, Heiser Ford Lincoln +Heiser Ford Lincoln is excited to heat things up with our new Heiser Ford Lincoln Employee Feature.From our top management through our entire Heiser family, we truly believe “Anything’s Possible.” We hope our customers feel the same, from the time they find us online until they walk onto our showroom floor. 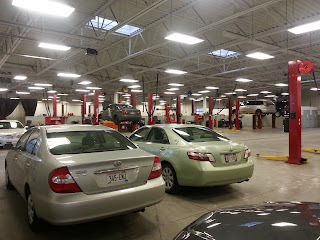 Heiser Ford Lincoln has trained a professional staff of dealership employees. This month, we recognize Jay Oberst, as one our finest.Since he joined Heiser, Jay has risen to become one of our leading sales consultants. West Allis & West Bend, Wisconsin, June 24, 2013 – New from hood to hitch, the 2014 +Chevrolet Silverado 1500 is engineered to be stronger, smarter and more capable than ever before for #Milwaukee area drivers. Base prices for the Silverado 1500 – regular cab, double cab, and crew cab – carry over from 2013. Milwaukee area buyers of all 2014 Silverado 1500s also will receive a standard scheduled maintenance program for two years or 24,000 miles, whichever comes first. Today we had the opportunity to promote the #RideForRawhide via a #radio interview with #BillMichaelsSportsTalkRadio. Here are some behind the scenes photos. Let's prove #AnythingIsPossible for +Rawhide Boys Ranch Outpatient Services! It's time for our Inventory Reduction Sale at Heiser Chevrolet! Right now, we're targeting great savings for you! Like a lease on a new 2013 Chevrolet Cruze LS for just $139 a month! * Or, get into the all-new 2013 Chevrolet Malibu LS, leasing for just $144 a month! ** See us in West Allis, Wisconsin or +West Bend, WI, Wisconsin during our Inventory Reduction Sale. No scandal here; just big savings! West Bend, WI, June 4th, 2013- +Heiser Chevrolet Cadillacwill once again prove that ‘Anything’s Possible’ by sponsoring the Festival of Angels in +West Bend, WI. Running Friday, June 8th through Sunday June 10th, the festival is open at 5:00 on Friday, noon on Saturday, and 11:00 on Sunday.It is held on the Holy Angel Congregation parish’s grounds and admission is free. Holy Angels Congregation hosts the highly successful Festival of Angels annually, the second weekend in June. 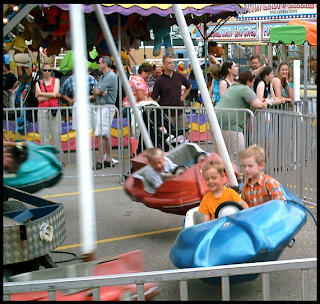 It is an opportunity for the community to kick off the summer season by gathering to listen to music, take in the excitement of the rides, and enjoy great food and drink.Proceeds benefit the local parish and parish school.